General John F. Kelly, U.S. Marine Corps (Ret.) 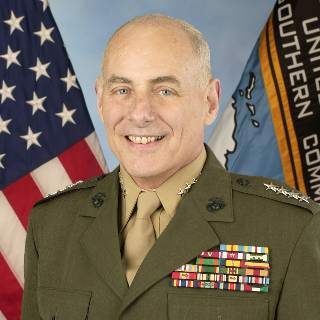 has served as a four-star General, U.S. Secretary of Homeland Security, leader of U.S. Southern Command and White House Chief of Staff. As a result, few people are as qualified as General Kelly to provide first-hand insight into the international evolving geopolitical landscape. In a world where dictators are falling and rising, where governments posture for a greater impact on the global stage, and where information is the critical currency, who will emerge and where will opportunities exist? From the UN to the Pentagon, from the South China Sea to Washington, DC, General Kelly discusses the trends, risks and potential rewards amid the global ‘hot spots’ and our future on the global stage.